All new undergraduate students whether first-time freshmen or transfer, must audition for acceptance into any music major. This process is in addition to the admission application procedure of the university. Graduate performance auditions are required for performance programs and the Artist Diploma program. Graduate degrees in scholarly/academic fields require submission of written materials. Performance auditions last approximately 15 minutes and the faculty will be assessing musicianship, intonation, general technique, interpretive skills, and stylistic considerations compared to the standard expected of students entering a music program at the undergraduate or graduate level. On-campus audition dates for entry in Fall 2019 are February 2, 3, 9, and 10. Only students who have applied to San Diego State University will be scheduled for an entrance audition. One you have obtained a RED ID all requests for audition dates must be completed through the School of Music and Dance online audition and application portals, listed below. An on-campus performance audition is always preferable, but students who are unable to come to San Diego for a personal audition due to distance or schedule conflict may audition by uploading a video of a live performance onto the audition portal. While the faculty who will watch your video recording do not expect professional level production quality, it is important that your materials are of sufficient audio quality for faculty to be able to clearly hear and assess your performance level. Audio only submissions will not be accepted in lieu of a video recording. The deadline for submission of digital auditions and composition portfolios for undergraduate students is February 3 and for graduate students is March 1. An accompanist is not required for instrumentalists. All singers are required to perform their audition with a piano accompanist. If you plan to utilize a staff accompanist, please send a copy of all selections you will be performing to the School of Music and Dance no later than January 15. Pre-recorded accompaniment is not permitted. Students will be notified about the results of their audition by letter, normally in mid-March. 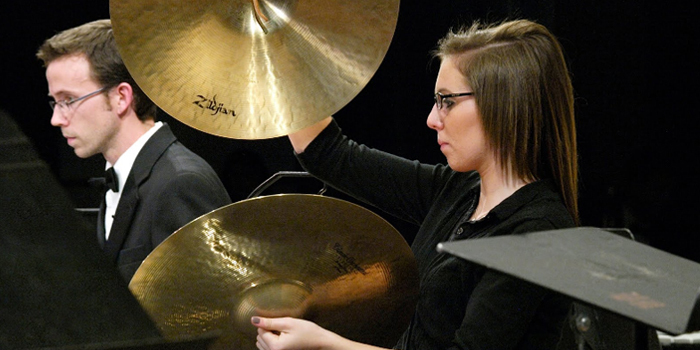 Admission to a degree program in music is contingent upon the student’s acceptance to San Diego State University. Notification regarding admission to the university is sent separately by the Office of Admissions. Students will be notified no later than April 1 of the results of their audition. All students will take an online a music theory examination during the summer. This test is used for appropriate placement in the comprehensive musicianship (music theory and aural skills) course sequence. For any additional questions regarding the audition process, please contact Shirley Valencia Gutierrez, Student Services Coordinator.